Beach time for this baby boy! 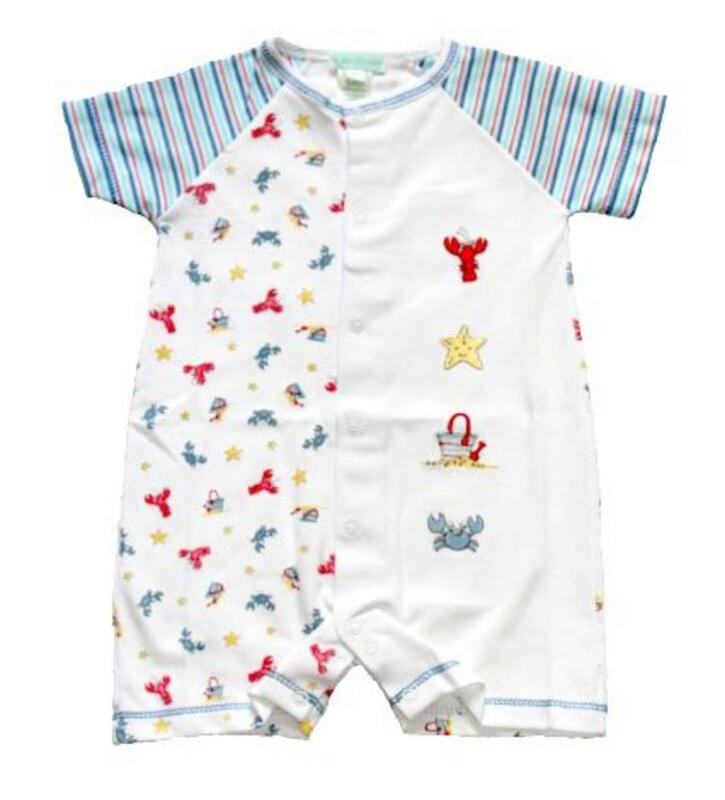 This lobster romper is very cute on with the lobster, starfish and sand bucket embroidery. It has the same embroidery on the romper print. The red, white and blue strips on the arms makes this boy outfit pop. This is 100% peruvian pima cotton which makes it extra soft for your newborns.